Alaska is a once in a lifetime vacation destination, and the perfect place for couples who are looking for something both unique and romantic. Alaska is the northernmost state in the US, and the size alone nearly covers half of the United States. The geography of Alaska is pristine and stunning, with islands, shorelines, volcanoes and mountains. Despite Alaska’s reputation for being cold and snowy, this state does get summertime, despite the interior of Alaska being a subarctic climate. In some parts of Alaska, the temperatures in the summer can get up to an average of 70 degrees. Despite the cool weather, Alaska is an adventure from start to finish. The major cities and small towns will certainly hold adventure for any couple who decides to visit. Nestled near Homer, the Tutka Bay Lodge is settled at the entrance of Kachemak Bay, surrounded by mountain peaks and beautiful fjords. 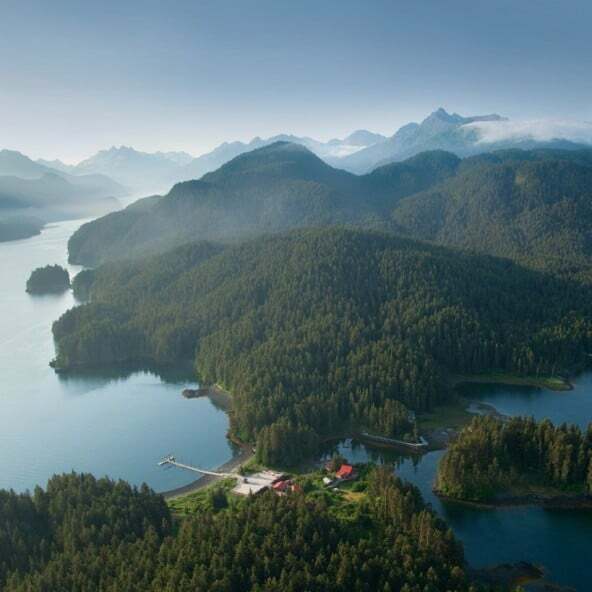 The Tutka Bay Lodge is seated on seven acres of property, with both a main lodge and six separate, private accommodations that are all interconnected by a boardwalk that raises above the ground. This unique location is perfect for the adventurous couple. Breakfast, lunch and dinner is served onsite at the Lodge, with chefs that prepare Alaska cuisine with local and organic ingredients from their own gardens or local farmers. Tutka Bay Lodge offers an array of guides trips, from day trips around the surrounding area, to overnight adventures in the Alaskan wilderness. 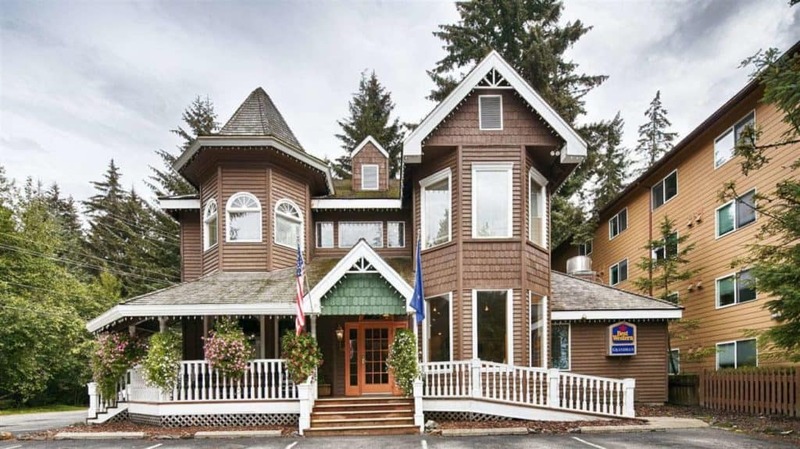 This Juneau bed and breakfast boasts that perfect home away from home feeling that so many people enjoy during a vacation. Grandma’s Feather Bed is a Victorian style house-turned-hotel, and there are 14 different luxury suites that couples can choose from, surrounded by all of the excitement that Juneau has to offer. Each guest is welcome to indulge in a full, hot breakfast every morning, while Grandma’s Restaurant onsite serves lunch and dinner. No matter the season, Grandma’s Feather Bed’s location makes it a great place to stay for couples who are looking forward to either skiing in the wintertime, or exploring nearby hiking trails during the warmer months. 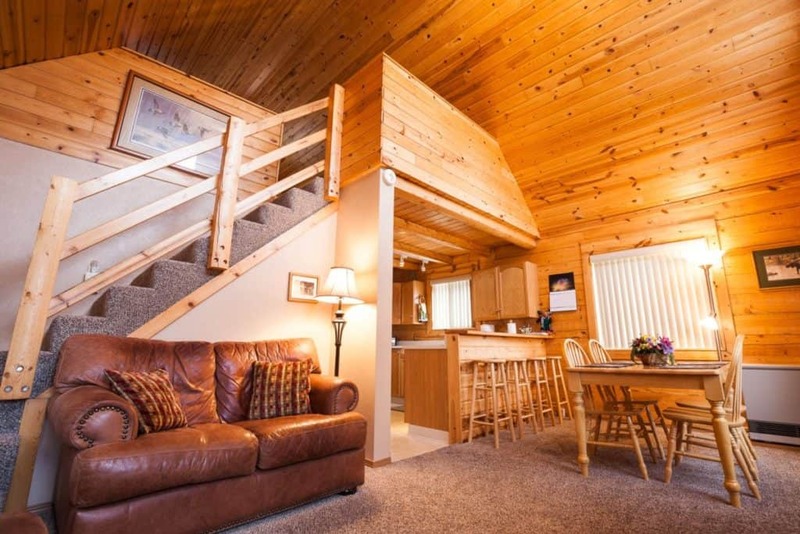 Located just a few blocks from downtown Anchorage, the 11th Avenue Bed and Breakfast is great for couples who want to be close to the excitement, while still having a quiet place to retreat to at the end of the day. There are five different themed bedrooms and suites for guests to choose from, which will enhance any couple’s need for a little bit of seclusion. A two-course, family style breakfast is served between 8:00 AM and 9:00 AM every morning, with fruit, yogurt, and a hot, protein-based entree to keep your energy up. Anchorage has all kinds of shops, restaurants and entertainment activities to choose from. 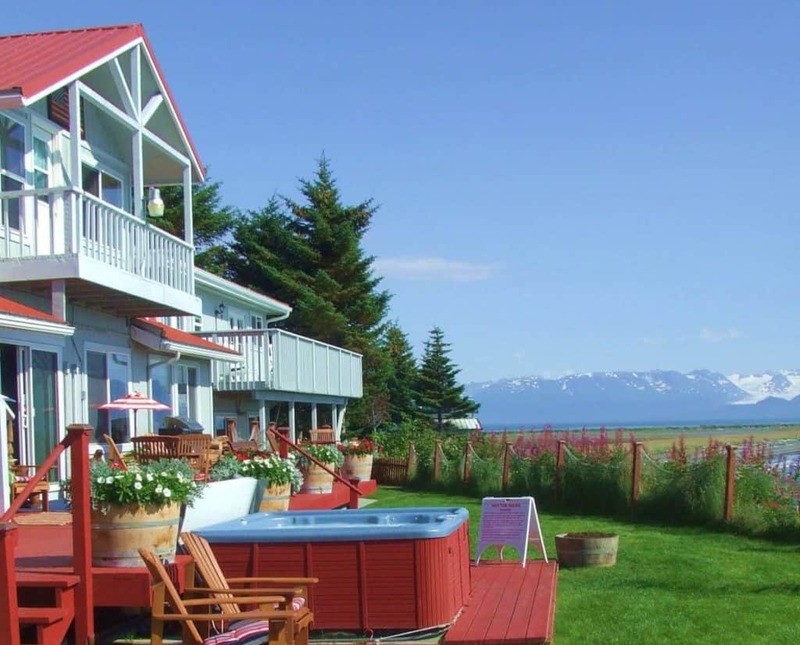 11th Avenue B&B can also help guests plan their Alaska adventure, from parasailing to skiing. Located just shy of downtown Talkeetna, the Denali Fireside Cabins and Suites offers an array of different accommodations, from hotel-style suites to private cabins. Each room includes custom log furniture and gas fireplaces for those chilly evenings, while the individual log cabins offer kitchens, living areas and bedrooms. 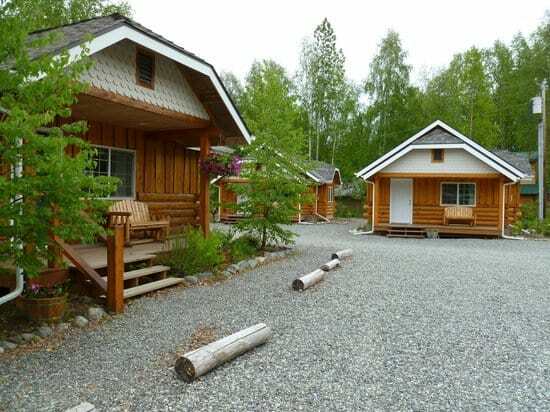 The cabins and suites offer a kitchen area, equipped with fridge and microwave, while the nearby downtown area of Talkeetna is just minutes away, filled with restaurants. For an adventure, there are the nearby Denai Zip Lines and the Talkeetna ATV tours. For sightseeing, there’s a Bush Floatplane service or an Air Taxi. This resort is a year-round destination, perfect for couples who are looking for a getaway for any season. 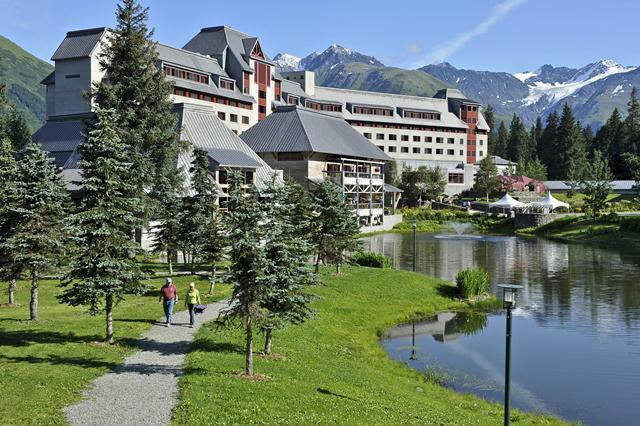 The Hotel Alyeska is surrounding by the magnificent Alaskan wilderness, from pine forest to mountain peaks. There 304 luxury guest rooms and suites, some with views of the nearby mountain ranges and pine forests. Seven Glacier’s is the Hotel Alyeska’s gourmet restaurant that offers stunning, panoramic views of the Chugach Mountain Range. There are also several other restaurants located in the hotel, from steakhouse to fine dining. The Hotel Alyeska is home to many different activities, from skiing to summer kayaking, as well as many relaxing, sightseeing tours. 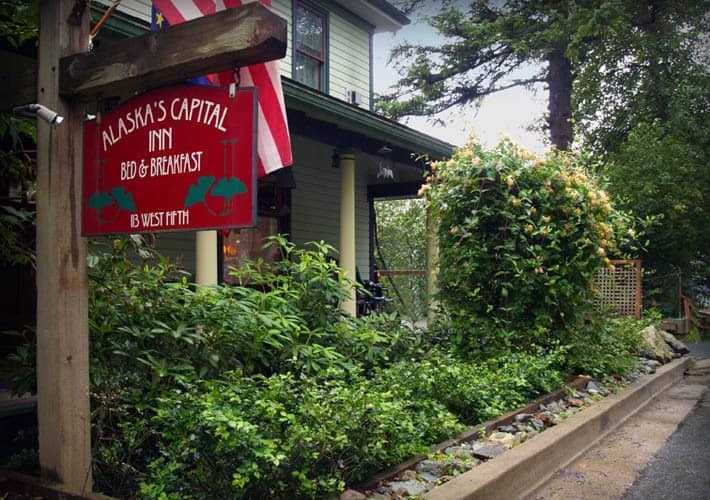 The Alaska’s Capital Inn is a bed and breakfast, originally built in 1906 during the gold rush, which has now been restored into a beautiful inn. The Inn is full of antique furnishings and restorations, while also offering luxury amenities. There are six uniquely decorated guest rooms, as well as a Governor’s suite. Each morning, a family-style home cooked breakfast awaits each guest, with homemade granola, Alaskan sourdough pancakes and delicious bacon. The staff at Alaska’s Capital Inn is happy to assist couples looking for things to do in the area, from ice climbing and mountain touring for the wintertime adventurers, to kayaking and whale watching. This family owned and run bed and breakfast is located in Anchorage, and it is one of the city’s oldest operating inns. 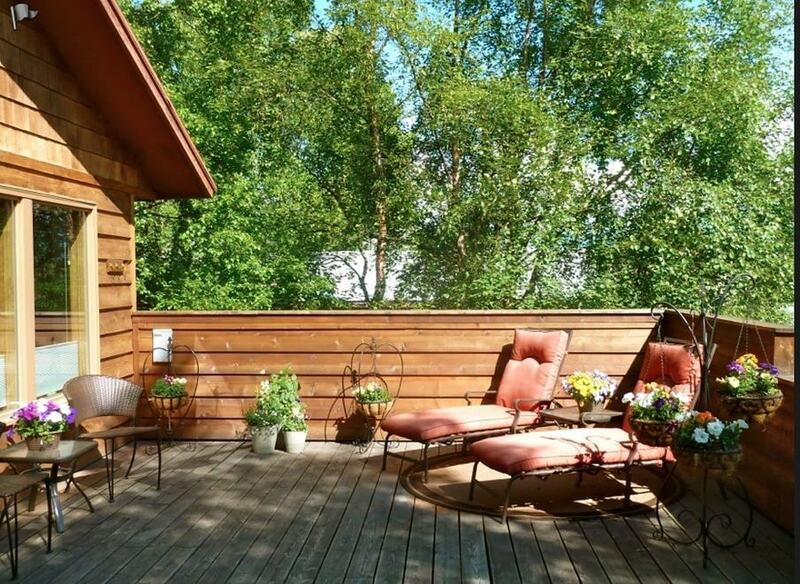 The Camai Bed and Breakfast is surrounded by both the beautiful Alaska scenery as well as nearby Anchorage locations. There are three different flower-themed suites, each with their own private bathrooms. During summer stays, guests can expect a full breakfast, with an expanded continental breakfast during the winter months. The Camai Bed and Breakfast is nearby so many exciting Anchorage activities, from the Alaska Zoo to the Alaska Museum of Natural History. Not to mention all of the outdoor fun, like skiing and hiking trails, or even whale watching. This beautiful lodge is located on the ridge that overlooks the town of Talkeetna, surrounded by stunning views of the surrounding mountains. 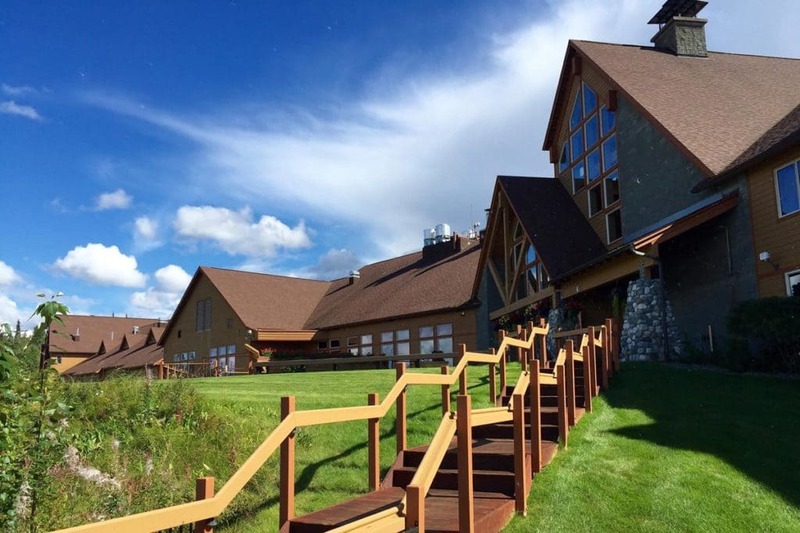 The Talkeetna Alaskan Lodge offers 212 guest rooms and suites, with three suites that face the gorgeous mountain side, while many other suites offer other, partial views of the mountain. The Foraker Dining Room offers an array of Alaskan game and seafood, with views of both the Denali and Alaska mountain ranges. For a lighter meal, the Base Camp Bistro offers a light breakfast, lunch or dinner. 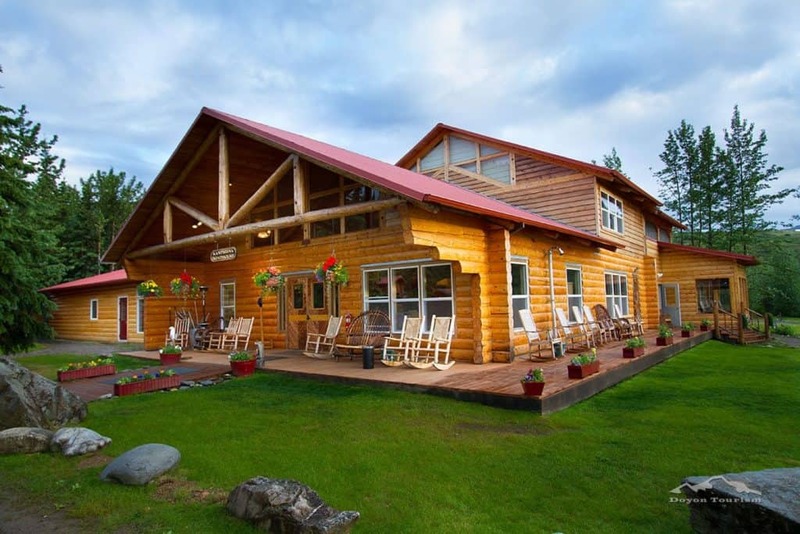 The Talkeetna Alaskan Lodge is the perfect hub for the outdoorsy couple who is looking for a place to retreat to after a long day of exploring the surrounding Alaskan wilderness through guides tours or solo hikes. The Pearson’s Pond Inn is located in Juneau, and is one of this city’s finest boutique bed and breakfasts. The Pearson’s Pond Inn is perfect for couples who are seeking that special kind of privacy that makes a romantic vacation so fun. Each suite has a private entrance, and the property is surrounding by beautiful ponds and forest views. Guests are welcomed to a complimentary breakfast each morning during the summer months, with an array of delicious breakfast foods to start the day right. The property is surrounded by gardens and ponds, as well as a gazebo or two to enjoy the natural surroundings. Pearson’s Pond Inn also offers a wellness spa for couples who are looking to rejuvenate from their day to day lives. Open all year round, Sheep Mountain Lodge is perfect for both a summertime and wintertime escape from every couple. 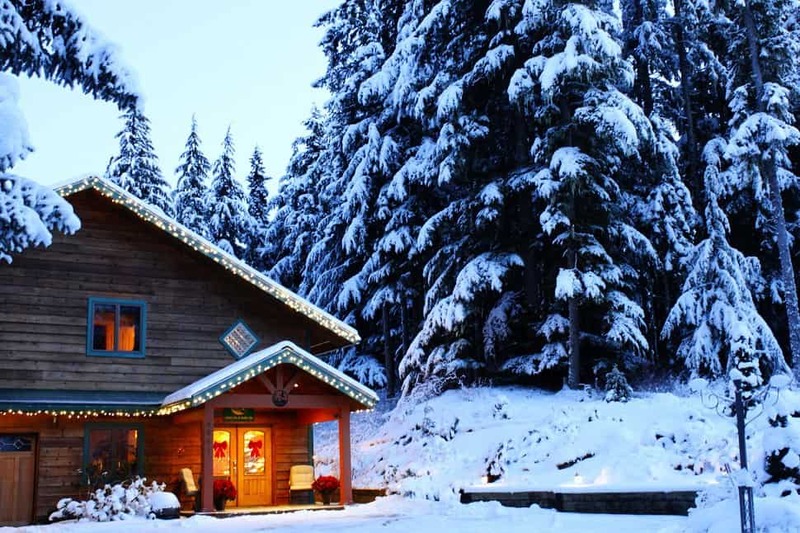 Sheep Mountain Lodge offers four premier cabins, seven cozy classic cabins, and a guesthouse with three different private rooms. Depending on each couple’s desire for seclusion, Sheep Mountain Lodge has just the right accommodations for everyone. The onsite restaurant is open daily for breakfast, lunch and dinner, with seasonal specials and local, fresh Alaskan cuisine like seafood and steak. Couples are free to enjoy a quiet weekend stay in their cabins, or explore the nearby activities, like river rafting, glacier hiking or flightseeing with local bush pilots. Located in Homer, in the downtown oceanfront area, Homer Inn and Spa offers guests a unique Alaskan experience, right up against the water. The Homer Inn and Spa offers both suites at the inn, as well as oceanfront villas or off-site townhouses located in downtown Homer. Whether you’re looking for a view of the water, or a place amid the downtown excitement, Homer Inn and Spa has what each guest is looking for. Homer Inn and Spa doesn’t offer breakfast or a restaurant, but there are many breakfast cafe and restaurants nearby for lunch and dinner. Homer Inn and Spa does offer an oceanfront hot tub, as well as a 2,000-sq. foot deck that overlooks the waters, as well as a fire ring area. The Inn itself is just a 10-minute walk from downtown Homer. Hatcher Pass Bed and Breakfast offers a unique, authentic Alaskan vacation with log cabin rentals. Each cabin is fully equipped with furnishings, private baths and every luxury amenity one might need on vacation. Couples will love both the privacy of the cabin, as well as being surrounded by the Alaskan wildlife just outside the door. Each cabin comes fully equipped with a kitchen area that can be used for any of the guest’s needs. And breakfast foods come stocked in your cabin for you to prepare! All the local activities around Hatcher Pass await the adventurous couple, from Zipline Tours to nearby hiking trails, along with the scenic and stunning Glenn Highway. 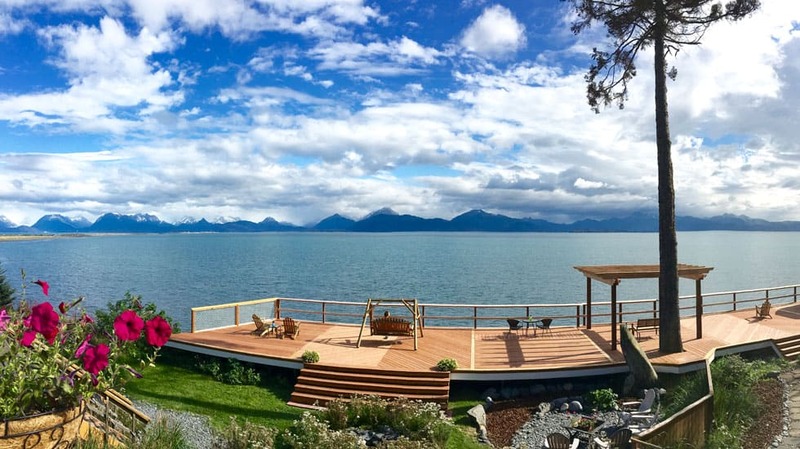 Located on the oceanfront in Homer, the Ocean House Inn overlooks the Kachemak Bay and is surrounded by the stunning mountain ranges. The Ocean House Inn offers nine different accommodations, from oceanfront suite, two several different condos. Each room has a private entrance, as well as a private bath. While the Ocean House Inn doesn’t have an onsite restaurant, the nearby Homer restaurants are all within quick distance, from casual dining to delicious Alaskan seafood. Nearby the Ocean House Inn are many Alaskan adventures for couples to enjoy, like Trails End Horse Adventures and the St. Augustine’s Kayak Tours. Couples who are looking for an exclusive and remote experience will want to look into the Kantishna Roadhouse. This all-inclusive experience is located 90 miles into the Denali National Park, and it’s very secluded. Guests stay in deluxe cabin accommodations after a private bus transports you to the heart of Denali Park. All meals at the Kantishna Roadhouse are included, and eaten family style with fresh, Alaskan ingredients, some of which are even grown directly on the property. All the activities provided by the Kantishna Roadhouse are included, from guided hiking tours to fly fishing and even sight-seeing the local wildlife. This 1916 historic hotel has been renovated and updated for the modern guest, located right in the heart of downtown Anchorage. The Historic Anchorage Hotel is part of the National Register of Historic Places, and offers both luxury amenities and a rich history. There are 26 guest rooms to choose from, many with antique furnishings. Breakfast is included with the price of your stay, which offers a continental breakfast of Belgian waffles, fresh fruit and more. 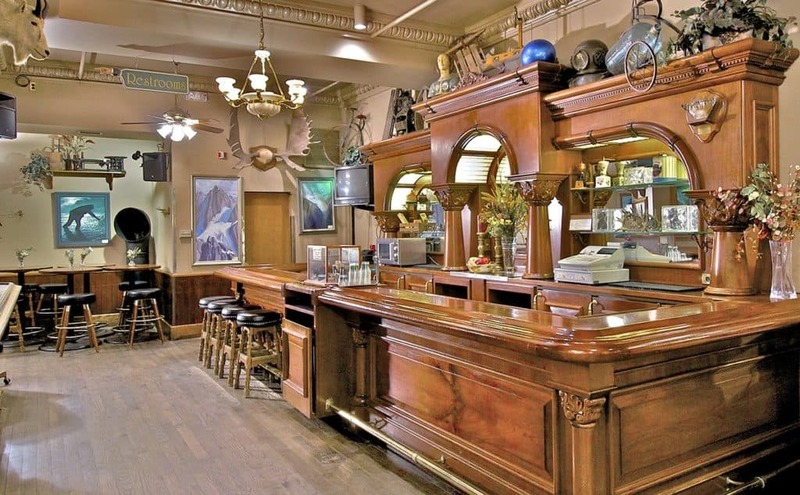 Anchorage is the perfect hub for all your Alaskan adventures, with the Historic Anchorage Hotel the best place to return to at the end of the day, after a wildlife cruise, or just a long day hiking through the pines.